In an emergency, call "000". Greater Shepparton, whilst earning its reputation as a vibrant, diverse and secure place to live, is also subject to the uncertainties of the elements like anywhere else. The occurrence of fire, flood, drought, storm and tempest, along with major accidents, has historically shaped the district environment and necessitated community reaction. This section of the website has been developed specifically to assist the overall community to access advisory information to plan, prepare, respond and recover from emergencies, irrespective of the cause. The information contained is constantly subject to revision and is only provided as a guide during an emergency. For specific advice, you should contact the relevant agencies. In a life threatening emergency call "000". For flood or storm emergencies call the Victorian SES on 132 500. Businesses, including primary producers, often have different needs when planning, preparing, responding and recovering to emergency events. 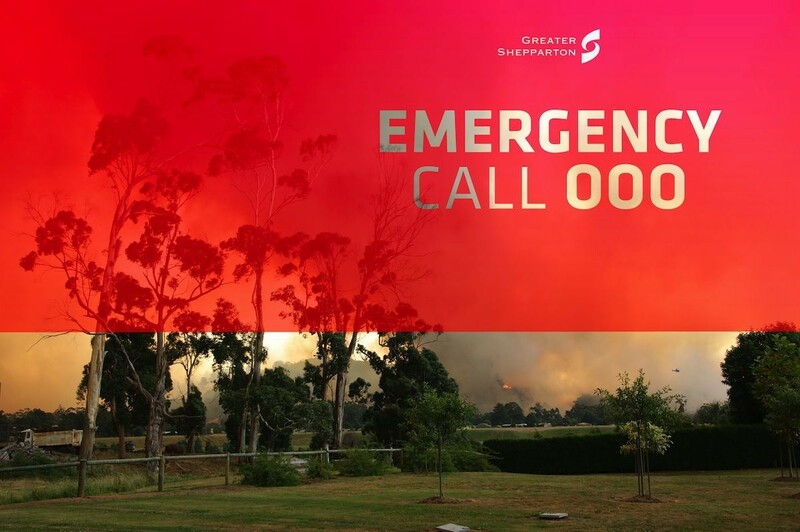 Greater Shepparton City Council has collated a range of resources from the SES, the ATO, CPA Australia, Small Business Victoria and DELWP to assist business. Visit the Business Ready: Emergency Information for Business section of our website for further information. Blue-green algae (cyanobacteria) is a type of bacteria with traits of both bacteria and algae. It can be found in almost all water systems, and can appear individually or in a group. In appropriate conditions, blue-green algae can grow rapidly and form visible blooms, or scums. Blooms generally occur during summer and autumn, when nutrient levels are high, temperatures are warm, and the water is relatively still. Weather conditions, nutrient levels and water flow will affect how long a bloom lasts. Water affected by blue-green algae may not be suitable for drinking, recreation or agricultural use.